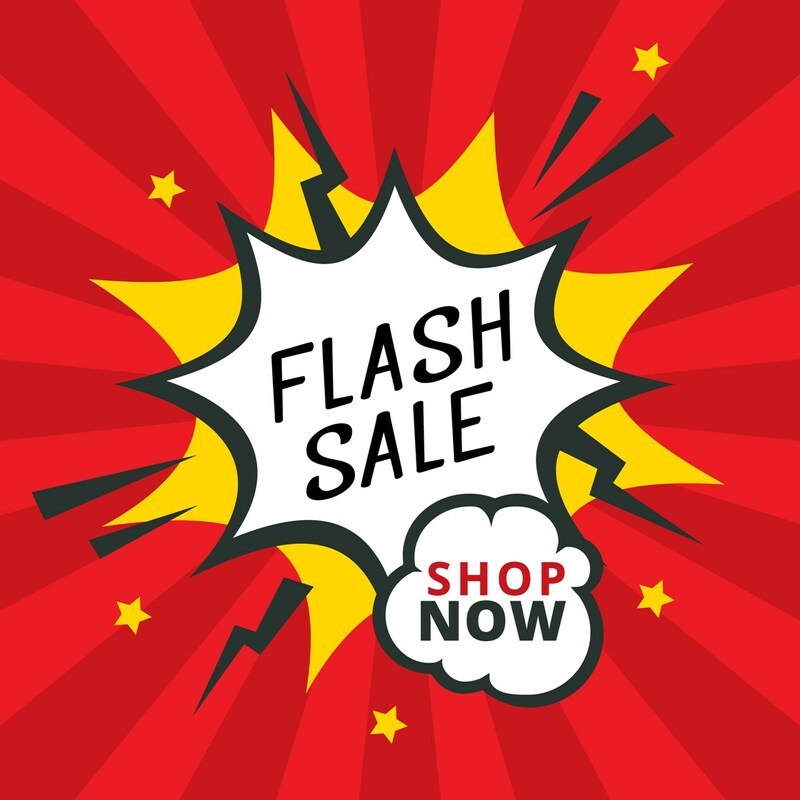 Designed by Amazon to perfectly fit your Kindle Paperwhite, these slim, form-fitting covers attach securely and fold back for one-handed reading. They automatically put your Kindle to sleep when closed and wake upon opening, making it easy to get back to your story. 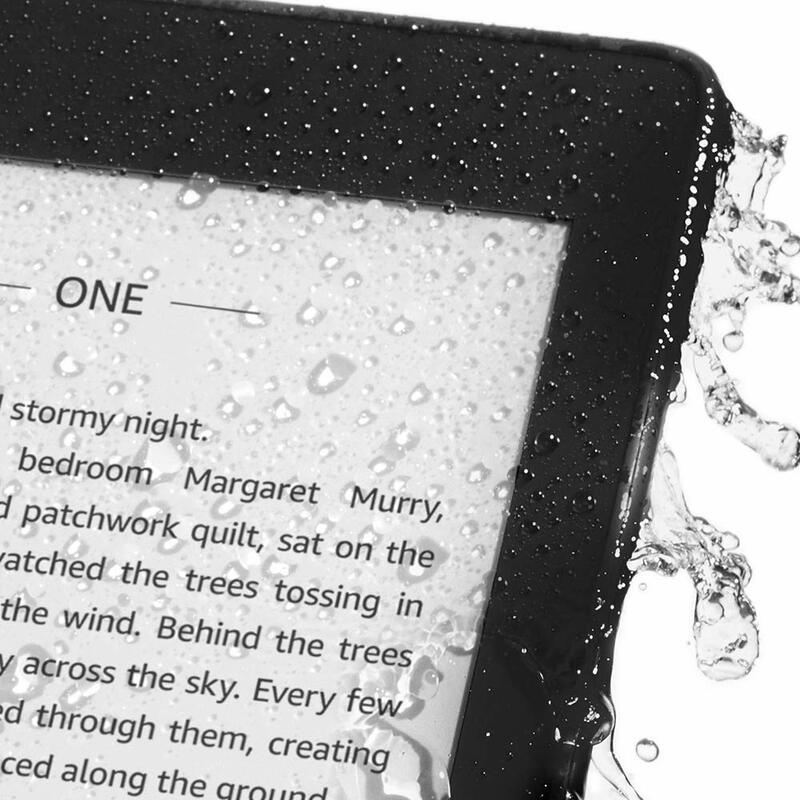 The thinnest, lightest Kindle Paperwhite ever 300 ppi glare-free display, reads like real paper even in bright sunlight. 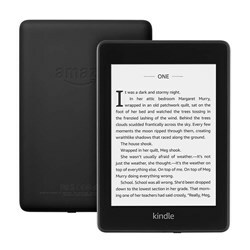 Display Amazon's 6” Paperwhite display technology with E Ink Carta and built-in light, 300ppi, optimized font technology, 16-level gray scale. Accessibility features VoiceView screen reader, available over Bluetooth audio, provides spoken feedback allowing you to navigate your device and read books with text-to-speech (available in English only). 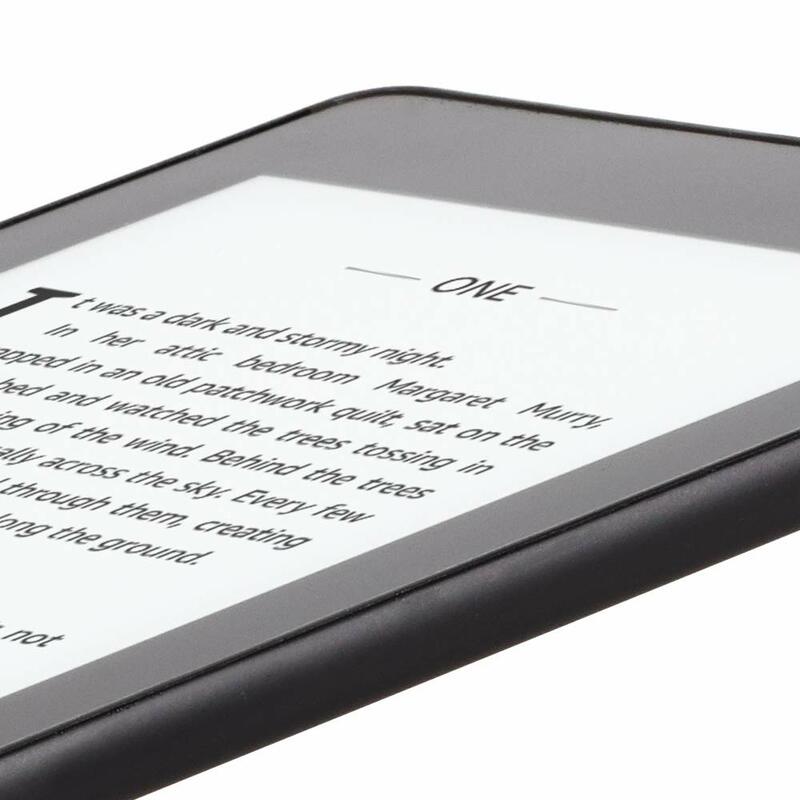 Kindle Paperwhite also includes the ability to invert Black and White, adjust font size, font face, line spacing and margins. Waterproofing Waterproof (IPX8), tested to withstand immersion in 2 meters of fresh water for 60 minutes. Battery life A single charge lasts up to six weeks, based on a half hour of reading per day with wireless off and the light setting at 13. Battery life will vary based on light settings, wireless usage. Connectivity Wi-Fi Connectivity - Supports public and private Wi-Fi networks or hotspots that use the 802.11b, 802.11g, or 802.11n standard with support for WEP, WPA and WPA2 security using password authentication or Wi-Fi Protected Setup (WPS). Documentation Quick Start Guide (included in box); All new Kindle Paperwhite User’s Guide (pre-installed on device) [PDF]. Additional information in multiple languages available online.